1961 Vespa 150 GS – Beauty and rarity !!! 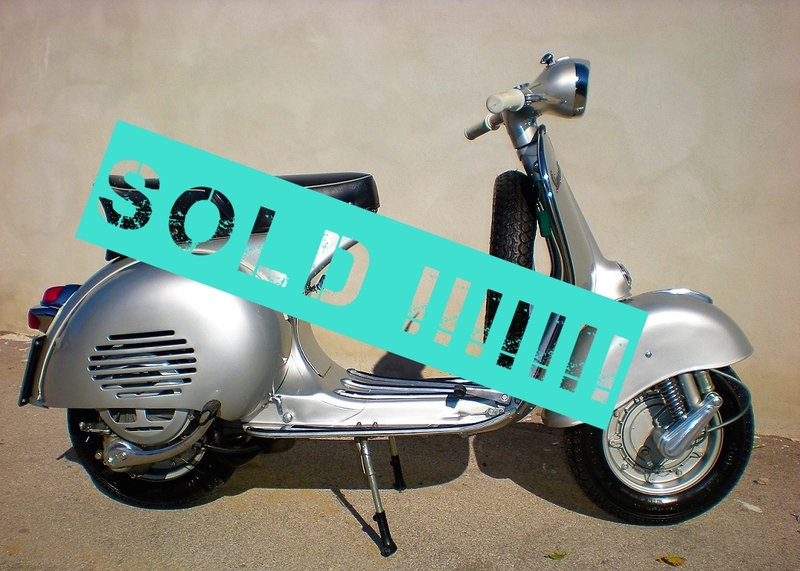 This stunning Vespa was sold to Mr. Sam from UK !!!! 1961 Vespa 150 GS – Newly restored – Never used !!! the best and most beautiful scooters produced. it’s quite simply, the best of the best !!!! all the parts on this scooter are either original or new old stock. It would be very difficult and expensive to restore a GS to this level today…. than capable of handling modern city traffic on the move, and turning heads when parked.